The open air green gym in the Park was open on 22 January 2011 by Councillor Jane Baugh. 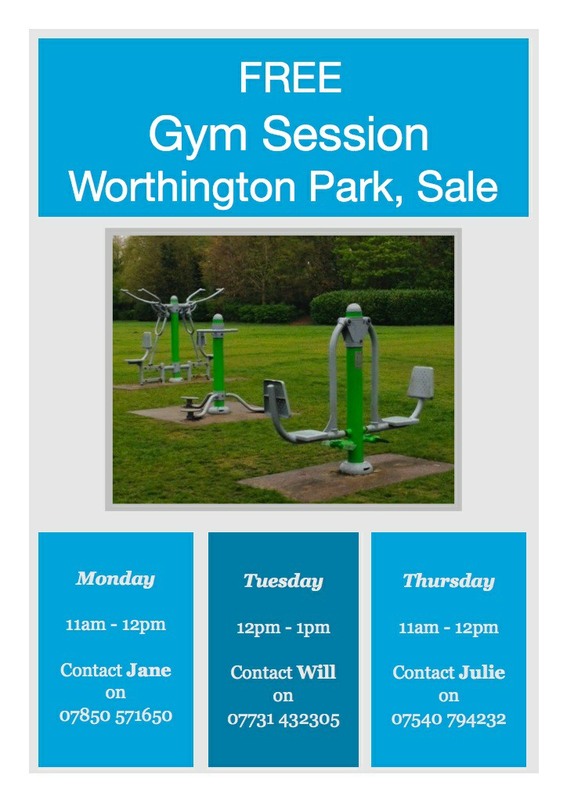 The green gym is an initiative of the Friends of Worthington Park group and was supported by the Community Spaces open grants programme that is managed by Groundwork UK and is funded through the Big Lottery Fund’s Changing Spaces initiative. The landscape work was undertaken by Trafford Council and the equipment was provided and installed by Wicksteed Ltd.
Is it possible to send me a walking map of the park please. Hi, We only have a general plan of the Park. This is the basis for the image in the “About” section of this website. Both the Space Walker units have developed faults. As of early August 2015, new parts have been ordered and the units will be repaired as soon as these are available, Lead time for supply of the new parts is about 6 weeks. The current (28 March 2014) problem with one of the Space Walker units in the outdoor gym has been reported to Trafford Council. The defective Skier has now been replaced by a new, updated model. However, there are now problems with the other Skier (which has never been replaced) and also with the Space Walker which is near this faulty Skier. Both these new problems have been reported to Trafford Council and they have contacted the original contractor who will visit the Park to inspect and make any repairs.